​ Version 1.1 of the SafetyNet app, used to upload safety data to Predictive Solution Corp.'s workplace safety software, is now available for download from the App Store. This is the first update to the workplace safety software app. 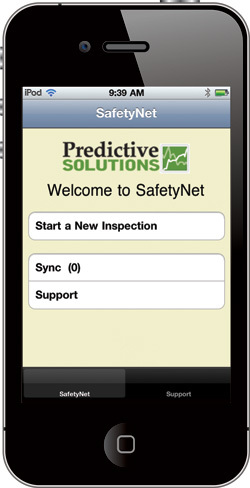 Existing Predictive Solutions customers can install the app on their iPhone, iPad or iPod touch and collect their workplace safety observations, including photos, with the touch of a button.